StoryLab runs 3 times a year. 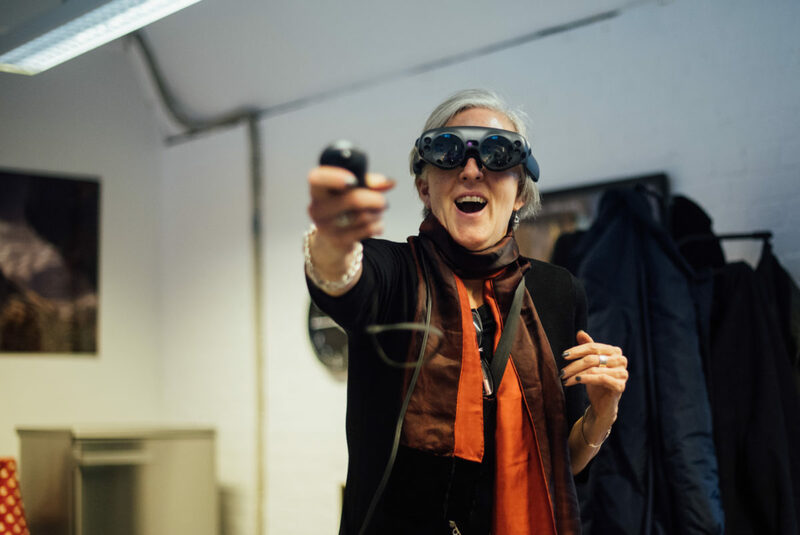 It's an open innovation event which funds prototype productions in immersive and next generation storytelling, linking SMEs with University researchers and large scale organisations, like Heathrow, The National Gallery and BBC Studios. Winning SMEs are supported in the delivery of the commissioned work by having access to our story-telling creative team, our operational and business modelling experts and world class audience testing research. By utilising cognitive psychology, neuroscience and media analysis we help establish the effectiveness of new content experiences. There are further funding, investment and other opportunities for winning projects that we'll help scope and deliver with the assistance of our business support and industry partners. The Open Calls for current StoryLab opportunities are below, or sign up for notification of future challenges. The Heathrow Challenge is an Open Call for SMEs in the Gateway Cluster (please see the map) to win a commission funded by us and Heathrow to pilot a new experience for the sustainability team at Terminal 5. Heathrow wants to encourage visitors to the Costa coffee shop to recycle take-away cups into the right bins. And we want to make it fun. The cash budget expectation is £60k (incl. VAT) and there will be top-up funding-in-kind on offer from our technical and R&D support teams. 9th May - You’ll meet the StoryFutures team and prep ideas with our experts on story form and audience behaviours, getting to grips with the Heathrow brief and opportunity on offer. 15th & 16th May - 2-day workshop where you can thrash around ideas and work with our academics and industry specialists who will provide cutting edge research on technology, audience insight and testing, data workflows and delivery models. A panel from Heathrow and StoryFutures decides the winning SME. This way of commissioning means that SMEs won't spend time and resources in lengthy pitching preparation and will have face-to-face time with high profile commissioners such as the National Gallery, Heathrow and BBC. The National Gallery has in its collection a 16th Century painting that it would like its visitors to experience as they would if they saw it its original home, a historic chapel in northern Italy. The aim is to create a scaleable pilot and temporary installation that will be a multi-sensory, immersive experience. It will draw on the original lighting conditions in the church, the soundscape and music that would have been a part of worship, as well as the architecture and frescoes that originally surrounded the painting. 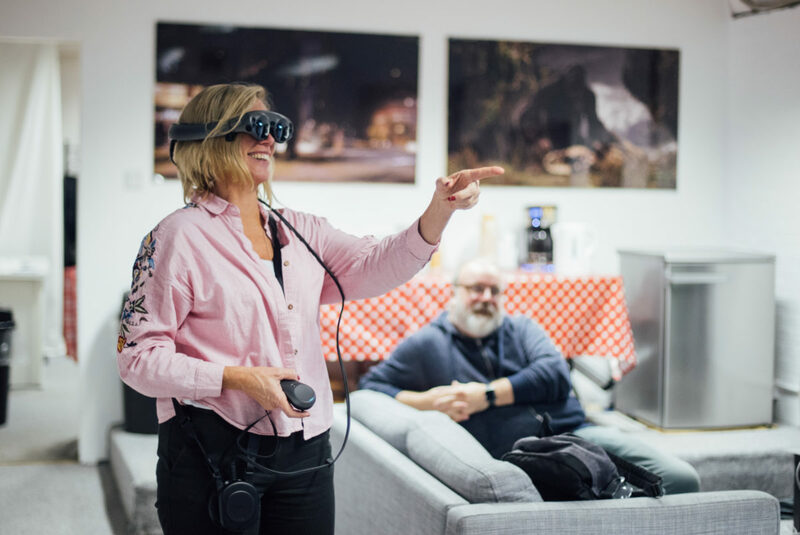 Virtual/Augmented/Mixed Reality and Immersive Audio are all potential opportunities but it’s the story, the experience and audiences that should drive the development of this pilot. The production budget on offer for the pilot experience is £66k (including VAT). With access to digital assets and R&D staff time the value of the challenge increases to £100k. The winning SME will be supported by considerable StoryFutures R&D resource spanning audience insight, business development, storytelling form and understandings of multi-sensory perception in immersive space. To get started with StoryLab Commissions fill out our short expression of interest form. For Heathrow StoryLab we will invite four selected SMEs to come along to two events as part of the challenge process.